As doctors, we are taught to first do no harm, but we are not adequately trained in what to do when, inevitably, things go wrong. Open disclosure should be an ingrained part of our response, yet this practice still either isn’t taught or is taught inadequately at undergraduate and postgraduate level and throughout continuous professional development (CPD). This needs to change urgently. It seems counterintuitive that we expect people to do something in a stressful situation after an error has been made, when they have never been trained how to do it in a safe, controlled teaching environment. The army uses live fire training to ensure that their soldiers adjust to the stress of real battle, while the aviation industry uses simulation to expose crews to unexpected, potentially dangerous scenarios. Openly admitting to an error is always difficult. But for doctors, who are supposed to “heal,” making a mistake and harming a patient can lead to persistent and pervasive feelings of guilt, shame, anxiety, and depression. Combined with this turmoil is raw fear: fear of litigation, fear of facing an (understandably) angry patient and family, and fear of isolation from colleagues. Aside from the emotional fallout, let’s not forget that admitting liability in an adverse event can have other negative consequences: it may seriously impact on one’s ability to acquire a sought after training post or obtain permanent employment. In private practice, there is a real risk that it may reduce one’s ability to obtain indemnity. A rush of public criticism may ensue and it can have serious legal implications, which hang over one’s career for years like the sword of Damocles. Compounding this stressful situation is the doctor’s lack of adequate training in this critical skill of open disclosure, which is necessary to support and help his/her patient. We teach and train medical students and doctors in “excellence,” not “ failure,” even though the latter is an outcome we are sure to encounter in medicine. Similarly, while the second victim phenomenon is well recognised worldwide, health systems are united internationally in how little peer support they offer front line workers involved in adverse events. This has implications for staff wellbeing, retention, and patient care, but so far we’ve turned a blind eye to it. In Ireland, where I work, the health system was recently rocked by a crisis in the country’s National Cervical Screening Programme after the healthcare system failed to disclose an error on a vast scale. As the inquiry identified, patients being treated for cancer were not informed that their previous smear test results had been interpreted incorrectly. Doctors argued about who should inform patients, while time elapsed. The truth only emerged when a woman who was terminally ill with cancer discovered the truth as she reviewed her medical chart. The publication of this inquiry in September 2018 happened to coincide with much awaited legislation coming into effect in Ireland, which protects healthcare professionals from having their apology during the open disclosure process used against them “as an admission of liability.” I would hope that this protection for healthcare professionals would help to avert failures like the above, especially with mandatory open disclosure the planned next step, but legislation is not enough on its own. We must also create a working environment that encourages open disclosure, and which eliminates the “blame and shame culture” evident in the recent Hadiza Bawa-Garba case. Until we have an improved culture of medical professionalism, I worry that merely making open disclosure mandatory will not work. If we want open disclosure to always happen, then we need to train doctors and other healthcare professionals in how to do it across the continuum of their education and CPD. Proficiency in open disclosure should be identified as a key, core competency and—similar to clinical examination skills—it should be specifically taught and assessed at undergraduate and postgraduate level. Ideally, this training would be delivered by healthcare professionals who have experience of implementing open disclosure in their frontline clinical work. At the undergraduate level, the curriculum should emphasise the critical part open disclosure plays in patient safety, doctor wellbeing, and maintaining public trust in the medical profession. And when it comes to continuous professional development, I’d argue that regular recertification in open disclosure should be mandatory. Our failure to implement open disclosure and the neglect of professionalism incurs multiple costs: for the patient, the cost of morbidity and loss of trust in the healthcare profession; for the healthcare professional, the cost of being a second victim and potentially damage to their career; for the healthcare institution, the cost of reputational damage and recruitment; and for the taxpayer, the cost of clinical claims. In the wake of the cervical screening scandal, Ireland is paying this high price. If we want to move forward, we need to throw out the previous, failed models in open disclosure. Hospitals should establish a professionalism programme that has at its core ongoing training in open disclosure and peer support after adverse events. Open disclosure is a difficult thing to do at a time of extreme vulnerability for the patient and the doctor, but by recognising this and putting measures in place, we can make this easier for all involved. 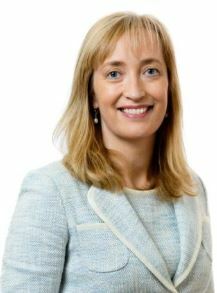 Dubhfeasa Slattery is professor and chair of medical professionalism at the Royal College of Surgeons in Ireland and the Bon Secours Health System and is a consultant respiratory paediatrician at Children’s Health Ireland, Temple St. Dublin.